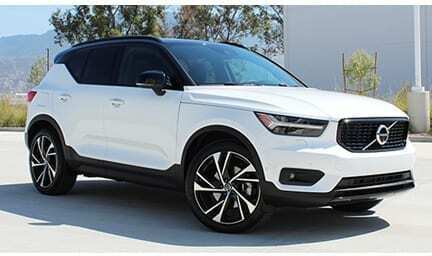 The new 2019 Volvo XC40 T5 AWD R Design offers drivers and passengers a solid and safe driving performance and a sporty design both inside and out. 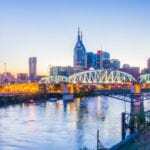 The All-Wheel Drive feature, (which is standard), provides extra traction during acceleration, especially in Nashville’s cold winter and wet weather conditions. The engine’s power is distributed between the front and rear wheels for smoother city or highway driving. The XC40’s powertrains are turbocharged for superior drivability, making the XC40 one of the most powerful cars in its class. Plus, the high-tech engines provide quick responsiveness but with low emissions and fuel consumption, which is good for the environment. To further speak of air quality, no matter what the air quality is outside, drivers/passengers can breathe clean air inside the XC40 with CleanZone. This new innovation uses an air filter to reduce the level of dust, pollen and other harmful particles while inside the vehicle. Inside, the new front seats were specifically custom created for the XC40. The seating was developed Developed to provide superior comfort whether it’s a daily commute to the job or a family trip. The backrest upholstery has a uniquely innovative design as well. Almost every new car offers keyless entry. But the XC40 takes it a step further by offering Keyless Entry Memory. Drivers can open the door and start the car without ever taking the key out of your pocket. The key also comes with a memory function for the power-operated seat and door mirror adjustments, so you can comfortably resume your position every time you get in the car. There’s a standard 9” Sensus Touchscreen that allows you to control everything from Driving Modes to audio inputs with ease.